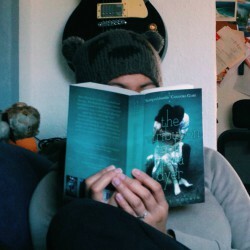 I was able to avoid reading reviews and even talking about this book with my fellow bookworms that's why I had no idea on how the story would end. 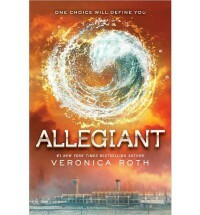 In this third and final book of Veronica Roth's Divergent series, a secret alliance was formed against Evelyn's system and Tris, Tobias and the others were chosen to go outside the city to find out what is hidden beyond the fence. It was narrated through Tris and Tobias' points of views which for me was confusing most of the time and i had to flip back some pages to check whose POV I was reading. Maybe because I got used to Tris' as the only narrator or they somehow sound similar. The good thing is we know what's going on with Tobias' head and how he feels about everything. The relationship between the two is tested and of course there are also some sweet and "intense" moments between them. What is the symbol on the cover means? I thought it has something to do with Erudites but it's not. It doesn't have anything to do with the factions. (This is not a spoiler, right?) It's really advisable to read the first two books before reading this one. Here, readers will encounter (again) some new characters and some new problems or circumstances in and outside the city. I personally didn't expect that something like that was going on beyond the fence. I really don't know how i feel about the ending. I'm not really disappointed (unlike the majority of people who read this book) instead, I was dreadful (after reading chapter 50) that it made me cry while reading until the last chapter. I feel so sad until now while typing this. It's not a perfect happy ending but I think it's inevitable and it makes me admire Tris, Tobias and Peter (yes! You've read it right!) more. I know some people who don't want to read Allegiant anymore because they were spoiled about the ending and didn't like it. All i can say is give it a chance. If you've read the first two then why not read the last book, right? It can answer your questions and help you understand why that certain thing happens. I enjoyed reading this series and I'm loking forward to read more of Ms. Roth's books.